In January, I went to Purgatory, Colorado to ski with my grandmother for four days. She's so cool, isn't she? 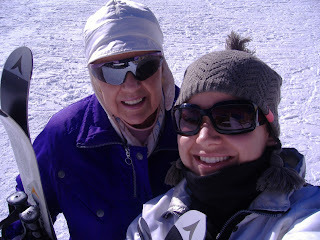 All I can say is that when I am 79, I hope I look half as good as she does on the slopes! She has promised to take me next year too just so she can say she skiied down the mountain at 80 years old. I am SO there.